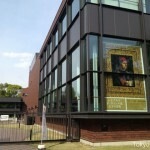 Tokyo Metropolitan Art Museum has held Leonardo da Vinci Exhibition from April 23 2013 to June 30 2013. This exhibition shows “Portrait of Musician” and “Codex Atlantics” for the first time in Japan. 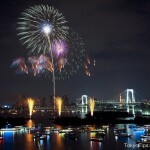 Many fireworks festivals are in Tokyo every summer. You will be able to see one of them somewhere every weekend. Fireworks festivals almost are held on Saturday. 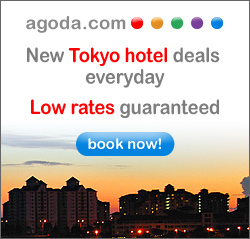 If it is rain on Saturday, the festival will be postponed on Sunday. 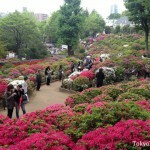 Nezu shrine holds azaleas festival until May 6 2013. White, red, pink, Many kinds of azaleas are full bloom now. Nezu shrine is at old-fashioned town. 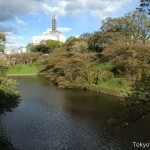 It is a little west of Ueno and close to Tokyo University. Shogun Tokugawa Tsunayoshi built these building in 1706. 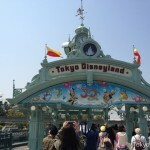 Tokyo Disneyland starts 30th anniversary year today. It held a memorial ceremony this morning. 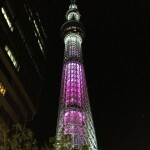 According to a news, about 15000 people waited its entrance from early morning, and the first person in the line waited twelve hours. They waited for a long time to get good seats of the ceremony. 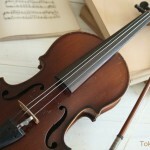 La Folle Journêe au Japon “Days of Enthusiasm” is a classical music festival. World famous musicians of classical music as singers, pianists, guitarists, violinists, other instruments players, and orchestras perform in parallel here and there from morning until night at Tokyo International Forum and Marunouchi from May 3 to May 5. 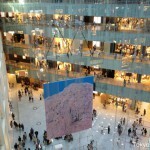 A new shopping mall named “KITTE” opened in front of Tokyo Station on March 21 2013. 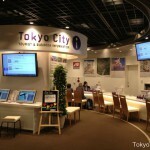 Many stores, restaurants and a tourist information center are there. 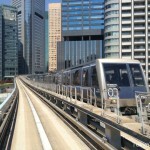 KITTE connects to Tokyo Station directly in underground.